The new 3020 Series flex heads provide the latest in flex head technology. Enhancing crop flow and improve feeding into the combine, resulting in smooth crop flow and reduced wear. This 3020 has many new improvements. From the 3 inch fine cut knife and guards to the skid shoe locations. One of the most impressive features of the 3020 header, setting it apart from other auger heads is the TerraFlex suspension system. Suspension design is the key to proper cutting in soft, muddy or hard field conditions. With fewer moving parts and reduced friction the cutter bar is reliable and responsive. Provides flexible range of movement using a simple torsion block control. Cutter bar has 3 inches up and 3 inches down of travel. 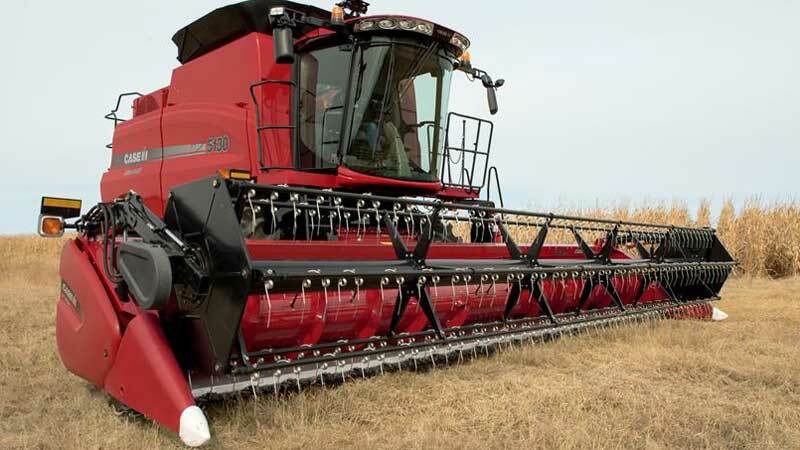 Not to mention rather than having to actually stop the combine, get out, and manually adjust each bolt individually, the operator is able to change the down pressure on the cutter bar instantly from the comfort of the cab. Adjustments are easily made from the cab while harvesting to accommodate ever changing ground conditions.